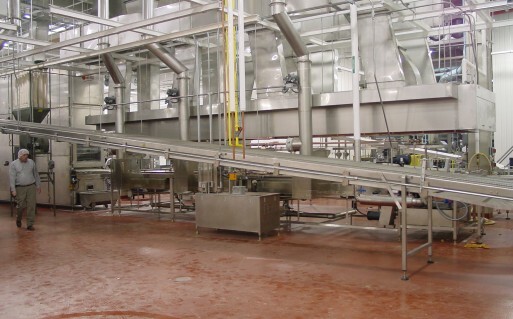 As union professionals, WMC millwrights have the capability to load, unload, move, install, level, align, modify, repair, and maintain all types of machinery and conveying systems (belt, table top, screw, bucket, elevator, monorail). We are also equipped to provide various types of precision work including dialing in shafts, leveling and tramming rolls, etc. Millwrights are available to serve all of your on location needs. Millwrights install, repair, replace, and dismantle the machinery and heavy equipment used in many industries. The wide range of facilities and the development of new technologies require millwrights to continually update their skills—from blueprint reading for machinery, to set ,to diagnosing and solving mechanical problems. The millwright’s responsibilities begin when machinery arrives at the jobsite. New equipment must be unloaded, inspected, and moved into position. To lift and move light machinery, millwrights use rigging and hoisting devices, such as pulleys and cables. With heavier equipment, they may require the assistance of hydraulic lift-truck or crane operators to position the machinery. Because millwrights often decide which device to use for moving machinery, they must know the load-bearing properties of cables, hoists, and cranes. Millwrights consult with production managers and engineers to determine the optimal placement of machines in a plant. When this placement requires building a new foundation, millwrights either prepare the foundation themselves or supervise its construction. As a result, they must know how to read blueprints and work with a variety of building materials. To assemble machinery, millwrights fit bearings, align gears and wheels, couplings, and connect belts, according to the manufacturer’s blueprints and drawings. Precision leveling and alignment are important in the assembly process, so millwrights measure angles, material thickness, and small distances with tools such as squares, calipers, and micrometers. When a high level of precision is required, devices such as lasers and ultrasonic measuring and alignment tools may be used. Millwrights also work with hand and power tools, such as cutting torches, welding machines, hydraulic torque wrenches, hydraulic stud tensioners, soldering guns, and with metalworking equipment, including lathes and grinding machines. In addition to installing and dismantling machinery, many millwrights work with mechanics and maintenance workers to repair and maintain equipment. This includes preventive maintenance, such as lubrication and fixing or replacing of worn parts. Increasingly sophisticated automation means more complicated machines for millwrights to install and maintain, requiring millwrights to specialize in certain machines or brand names. For example, millwrights install and maintain turbines in power plants that can weigh hundreds of tons and contain thousands of parts. This machinery requires special care and knowledge, so millwrights receive additional training and are required to be certified by the manufacturer of the turbine.